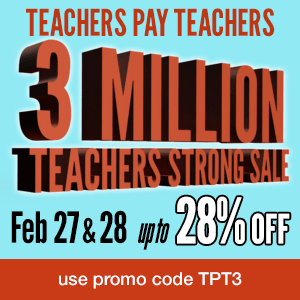 I have never held two sales in one month but TeachersPayTeachers.com has reached 3 million members! To celebrate, they are offering a 10% off on everything. Use the promo code TPT3 to get the discount. I am going to help them celebrate this huge accomplishment by adding a 20% off sale on top of their discount! This is the perfect time to get some of the big ticket unit items. You do not want to miss out on this. The sale will be February 27 -February 28, 2014. Have a great week teaching and don’t forget to subscribe to my blog so that you know about the deals of the week, the sales that I hold and great ideas about teaching social studies. I try to update the blog at least twice a month but usually end up posting more. How can teachers encourage students to do their homework? Getting students to complete their homework is a huge obstacle that frustrates teachers on a daily basis. I’ve come up with a list of tips that may help you improve your homework return rate. 1. Agenda: Make sure your students have their homework written down. They are more likely to complete their homework if they have their homework written down in their agenda no matter what grade level they are in. Make sure there is a set time during class that they are to write their homework into their agenda that can become a routine. Make sure your assignment is in an obvious place in the room and is written neatly in that spot everyday. I like to have my students write their homework down right after they do the opener or bell ringer at the beginning of the class. This gives me the opportunity to check their agendas during the mini-lesson while they write their notes. I stamp their agendas, which is faster than writing my initials, if it is done correctly. If it is not, I tell them to fix it and wait next to them while they do it. Other teachers like have their students write down their homework at the end of class and then check it. I used to do that but I noticed that at least once a week, I would run out of time and wouldn’t be able to check it or I would create a traffic jam at my door as I checked them as a ticket out the door. Having students write their homework in their agenda at the beginning of class eliminates those problems. 2. Time: In middle school, each core teacher (math, social studies, science, and language arts) should only be giving about 10-20 minutes of homework a night. 3. Ability Levels & Appropriateness: Think about the students you have in your class. Do any of them read lower than grade level? Does someone have dyslexia, ADD or ADHD or other special needs? Do you have any ELL or ESOL students? I have never met a middle school teacher that has ever had a class that was full of on grade level readers and had no accommodations or interventions due to special education, ELL, or the RTI process. Our students usually span from kindergarten level to college with their reading levels. So if you choose to assign a reading assignment out of the textbook or on a tablet, if your school is tech savvy, and it is on grade level (Did you know that most textbooks are actually written above grade for the grade they are approved for? ), it will take your students that are on a lower ability level or in special education or receive ELL services 3 to 4 times longer to complete the reading assignment because they will not only have to comprehend but decode as well or their medicine will have run out and will not be able to concentrate. I have a few ideas that can help you get these students to return their homework completed. a. Rewrite the chapter at a lower reading level for students who are not on grade level. This is time consuming but most teachers will use the same textbook for at least five years so in the long run, it’s really not so bad. Co-teachers can help out with this. b. Assign only the paragraphs that are necessary to answer the questions that you assigned to make sure they comprehend the reading. Have students either flag the paragraphs with strips of sticky notes or put a light dot next to the paragraph with a pencil. This reduces the quantity of reading they have to do but doesn’t reduce the quality of the reading. c. Use a slotted reading assignment (slotted notes or questions for each paragraph assigned) that will force them to answer questions as they go through the reading. This will force them to stop while they read and make sure they are comprehending. I recommend doing this only for the paragraphs that are the most important as this may actually increase the amount of time that is spent reading. It is worth it though because it makes sure that the students are comprehending what they are reading. It is a great technique to use as an intervention and as an accommodation. d. Allow students on a lower reading level, students that have dyslexia, ADD or ADHD 2-3 days to complete reading comprehension homework by breaking the chapter up into several days. A piece of it should be due on each of the days the assignment is spanning otherwise your procrastinators will just wait until the night before anyway and your efforts will be for not. 4. Consistency of Grading: Teachers need to be consistent with grading homework. It should only take a teacher 3 days maximum to return a homework assignment to a student with a grade. The sooner you return homework, the better for the student. They need to see the effects of their effort before they forget about the effort, or lack there of, that they put into it. If you do not plan on grading something, don’t assign it unless it’s to study something like vocabulary which could be graded during a quiz the next day. 5. Quality not Quantity: You do not have to assign homework. If you don’t have something that will help preview, review or enrich then don’t assign it. Do not give students busy work. It’s a waste of their time and because you should be grading everything that they do for homework, it’s a waste of your time as well. 6. Communication with Parents/Guardians: If students are consistently not returning their homework then teachers should contact home. Their parents may not be aware of it. 7. Start in Class: Allow students to begin their homework in class during the last five minutes. This allows you to go over the directions with them and if they don’t understand something then you can explain it to them. 8. Class website: Update and post the homework assignments and the due dates on your class or teacher website/webpage so if students forget their agendas, they can check what they are supposed to do when they get home. These suggestions are not going to make you have a 100% homework turn in rate. They should help increase it though. If you have more suggestions on how to improve the homework return rate, please comment so I can approve it. I love to hear new ideas and techniques that can help my students. This entry was posted in Accommodations, Social Studies Differentiated Instruction, Teaching Strategies and tagged How can teachers encourage students to do their homework? on January 14, 2014 by Kasha Mastrodomenico. This entry was posted in Social Studies Differentiated Instruction and tagged critical thinking on December 11, 2013 by Kasha Mastrodomenico. The Common Core Standard CCSS.ELA-Literacy.RH.6-8.2 encourages the social studies teacher to go beyond the curriculum or content in a lesson with the inclusion of primary or secondary sources that may add knowledge or conflict with the knowledge they’ve acquired during a mini-lesson or from reading their textbook. To use the CCSS.ELA-Literacy.R.H.6-8.2 Common Core Social Studies Standard in class, the students must read, analyze and summarize the primary or secondary source explaining how the source is different from what they knew or how it differs with their own opinion. This Common Core Standard brings in high level critical thinking. It helps them connect the content they are learning with their background knowledge. This Common Core Standard also helps them connect the content with themselves. Connecting content to self and background knowledge has long been known to help students retain information. When I taught in GA, the students learned about Andersonville prison. It was a POW camp during the Civil War with extremely poor conditions and a high death rate. Until I brought in a primary source from a POW camp in Elmira, NY, the students thought that the Confederacy was the only side that had POW camps in the Civil War. Both camps had horrid conditions. When I teach this lesson again, I will provide the same questions that helped students analyze the document. I will add onto what I did before by including a section for students to summarize the document and then another section where they can write about how it conflicted with what they knew or with what their opinion had been before they read the primary source. In WWI, most teachers will only teach about how the home front helped the war effort through the use of Liberty Bonds and Liberty Gardens, etc. What if a teacher then brought in a primary source about protests against WWI? I for one am excited to see what their responses to that will be. The next question teachers may ask is how would they differentiate instruction for this type of work session that uses the Common Core Social Studies Standards? My two favorite ways to differentiate instruction are to use the Multiple Intelligence Theory to peak student interest and leveling so that they can learn the same content on their own ability level. To bring in both of these forms of differentiated instruction I would use a ‘Museum Walk’ with two ability levels using two different sides of the room. The average/enriched side would include the primary or secondary sources as is with the questions at the bottom of each source. The lower ability level side of the room would have the primary or secondary sources simplified and have alternate words in parenthesis for vocabulary that is higher than they can handle or for sections that are written so archaically that they would not be able to interpret the meaning. I would also split up the sources into different sections with a question following each section where the answer can be found to help them focus and not be overwhelmed. During ‘Museum Walks’ students use the kinesthetic intelligence because students move around the room. I would allow students to work in similar ability pairs to bring in the interpersonal intelligence. I would also offer students the choice of working by themselves in packet form to bring in the intrapersonal intelligence. I would include political cartoons, paintings, photographs or propaganda posters to include the spatial intelligence. Students will be reading the primary or secondary sources from the wall where they hang, discussing the answers with their partner and writing about them so that also brings in the linguistic intelligence. Another option is to have the teacher lead a group of lower level readers and learners with the lower ability level packet form of the activity in a small group to help them read, analyze and summarize the primary sources. The last option will be harder to do without a co-teacher because teachers will still have to pay attention to the partners moving around the room and announce when they need to move to the next source. Go beyond your content and provide a primary or secondary source that will have your students conflicted and critically thinking about their own knowledge and how they feel about the situation in history in order to enrich your lessons. The Common Core Social Studies Standards encourage you to do this. To find out more about and how to use the Common Core Social Studies Standards, click on the link here. This entry was posted in Common Core Standards in Social Studies, Social Studies Differentiated Instruction and tagged CCSS.ELA-Literacy.RH.6-8.2, Common Core, Common Core Standard, differentiated instruction, social studies common core standards, social studies differentiated instruction on December 11, 2013 by Kasha Mastrodomenico. 20% off Sale on EVERYTHING! If you haven’t subscribed to my blog, you will see why you should. I throw sales on both teacherspayteachers.com and teachersnotebook.com. I have 20% off sales ready to go on both sites over the next few days. It can save you a lot of money and a lot of time planning. EVERYTHING IN MY STORES WILL BE ON SALE! Click on the links above so that you can see what I have in my stores. If you teach social studies in the middle or high school or even 5th grade, my products can help you. Have a wonderful day teaching! This entry was posted in Social Studies Differentiated Instruction on November 27, 2013 by Kasha Mastrodomenico. The Common Core Social Studies Standard for History/Social Studies CCSS.ELA-Literacy.RH.6-8.1 demands that students cite evidence when practicing expository writing. Students need to use that evidence to support their analysis of primary and secondary sources. Specific evidence helps students prove why they believe their analysis of the primary or secondary source is accurate. Without proof, it is an ignorant opinion. When first beginning to teach students how to cite, a teacher can introduce it as a matching exercise. They can provide students with five to ten short secondary or primary sources. Then they should offer the same amount of statements. Have the students find the primary or secondary sources that could provide the evidence to make each statement true. In order to differentiate instruction for this I would use the Multiple Intelligence Theory. I would allow my intrapersonal learners to conduct the activity the way I suggest above. For my interpersonal and kinesthetic learners, I would create small posters with the individual statements and the primary sources. The students could then search for the match with the other students that are going through the activity in this format. Once they think they have a match, I would have them come up to me and explain orally why they think it’s a match. They should say something in the realm of “We think it matches because…”. That statement will also help them gear up for the next Common Core Standard that I will be writing about in my next article. Once students understand that they can cite evidence to prove an opinion statement, they need to practice writing their own opinion on the content and then write the reason a primary or secondary source helps to prove it. Teachers can have students practice this by providing a primary or secondary source for students to read and providing a question for them to answer about it. The question must contain a ‘why’ statement. The student should then answer the question and state the reason including a ‘because’ statement connecting their opinion with the factual evidence from the primary or secondary source. When students are ready to move on, they should start using primary or secondary sources in an essay format, usually called a DBQ essay, there are three possibilities for citing specific evidence from the documents. 1. Students may summarize or quote what was stated in the document. 2. Students may summarize or quote and then write where they found the evidence. 3. Students may summarize or quote a document and then place the document number or title inside parenthesis. Encourage students to create educated opinions by citing proof during expository writing. It will encourage critical thinking and increase confidence because they will be able to back up their opinions. Instead of just saying “I think it means this…,” they’ll say “It means this because…”. One of our goals as social studies educators is to teach our students the skills they need to be successful in life. This Common Core Social Studies Standard can help us accomplish this goal. Click on the link below to find out more about how to use the Common Core Standards. To find out more about the Common Core Social Studies Standards, click here. That page goes through the Common Core Social Studies Standards and simplifies them by giving examples and explanations. This entry was posted in Common Core Standards in Social Studies, Expository Writing, Social Studies Differentiated Instruction and tagged CCSS.ELA-Literacy.RH.6-8.1, Cite specific textrual evidence to support analysis of primary and secondary sources, common core social studies, common core standards social studies, differentiate instruction, expository writing, How can teachers teach students to cite specific textual evidence to support analysis of primary and secondary sources?, social studies differentiated instruction on November 24, 2013 by Kasha Mastrodomenico.